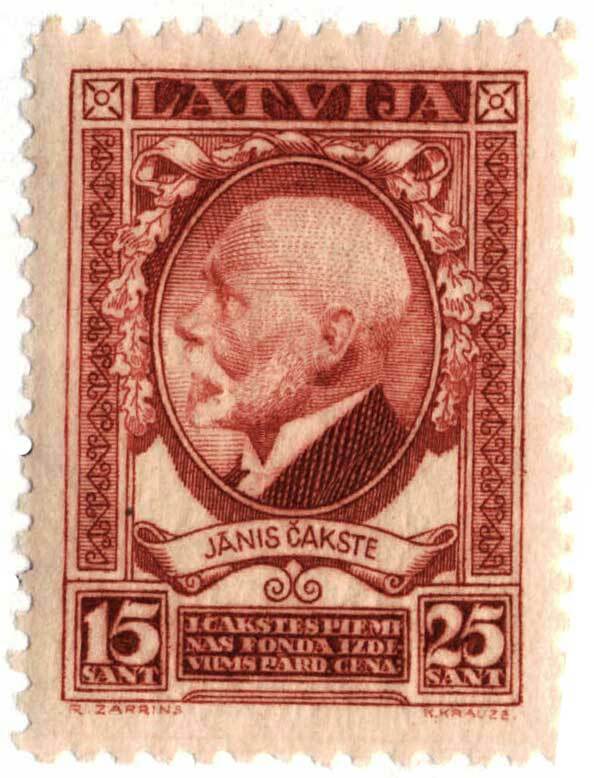 Janis Cakste (1859 - 1927) was the chairman of the Latvian National Council (Tautas Padome) which on November 18th, 1918 declared the independence of the Republic of Latvia. 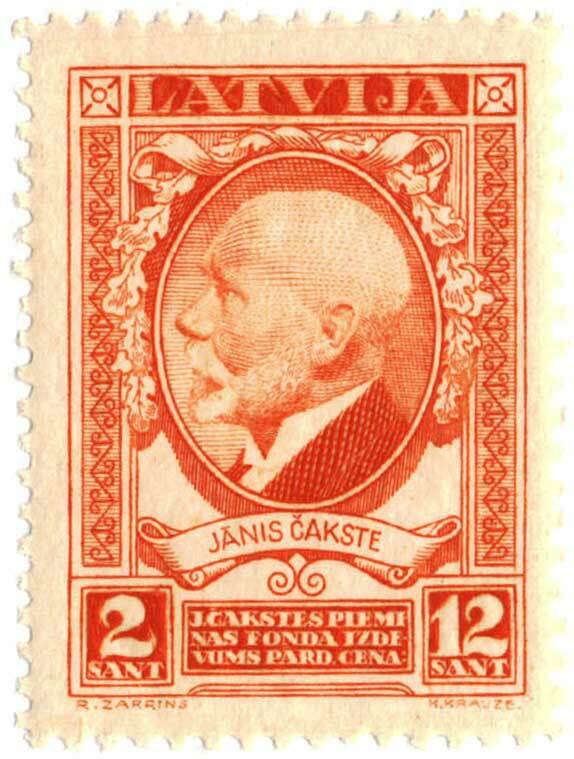 In 1919 he headed the Latvian delegation to the peace conference in Paris, and on May 1st, 1920 he opened the First National Constituent Assembly in Riga. 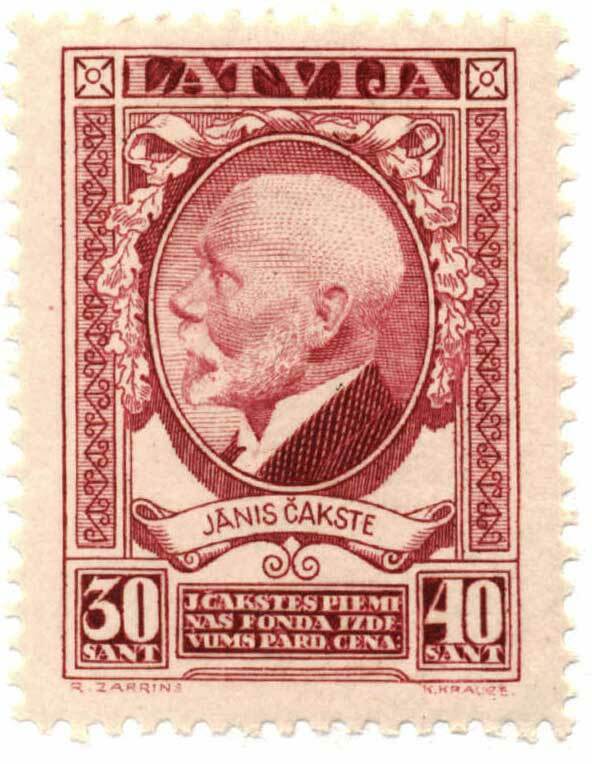 On November 7th 1922, he opened the First National Parliament (Saime), and on November 14th was elected first President of Latvia. He was reelected in 1925 for the second term, and died in 1927 in office. He had devoted his life to his native Latvia, and has been remembered ever since as the father of independence. 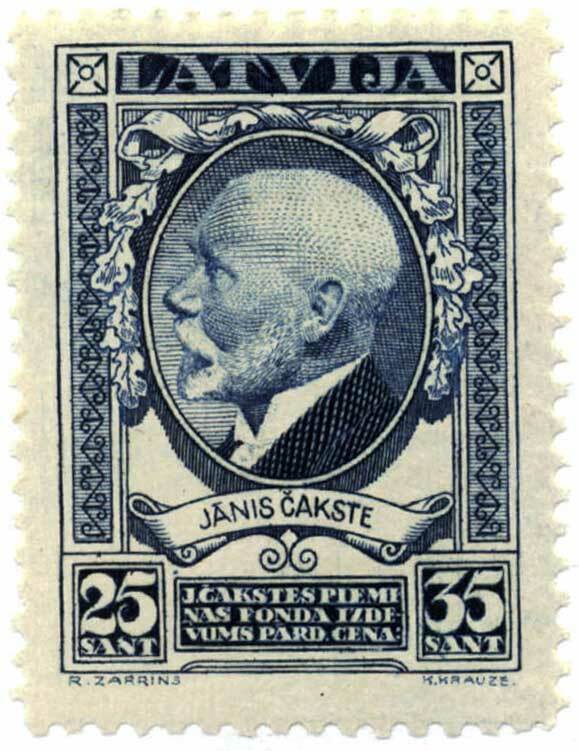 On April 18, 1928 a set of five postage stamps was issued with the portrait of Cakste. 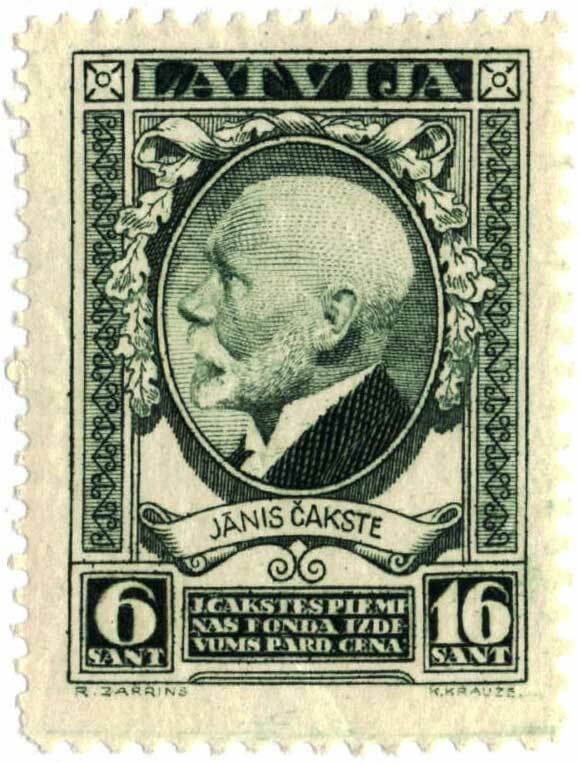 Each stamps was sold with a surcharge of 10 Santimi to the benefit of the Cakste Memorial Foundation. With this money and additional donations a monument was erected on his grave in Riga.